The people at Simon Say Stamp are just so sweet…they sent me a "sweet" stamp set from their new STAMPtember release to play with! You can check out all the STAMPtember release HERE. 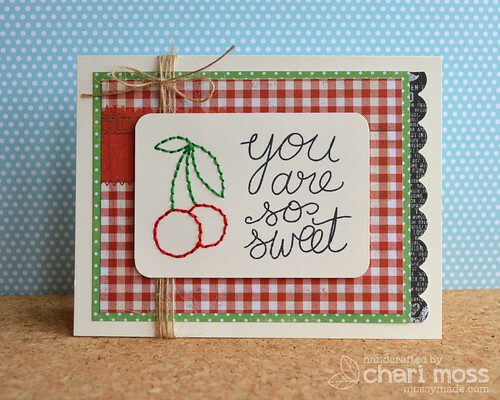 I played with the new set You're So Sweet, which also has matching dies as well. I created a card and a goodie bag both using this new set! 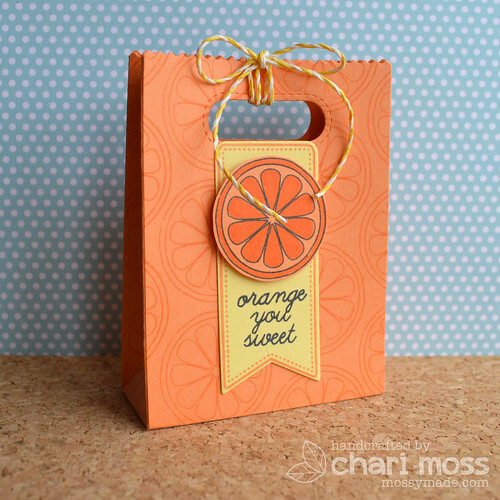 I used the new Lawn Fawn Goodie Bag die and stamped the orange image all over it to create a pattern paper. 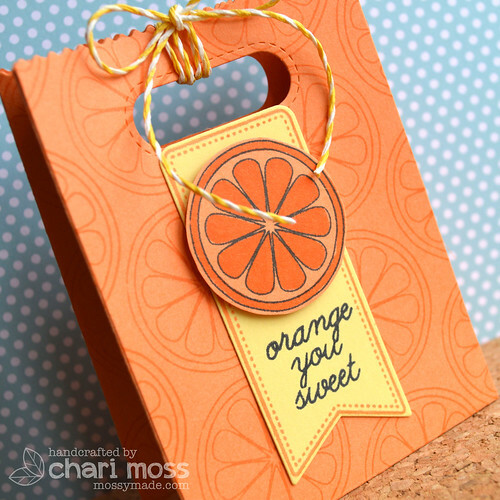 I used Hero Arts orange soda ink on Bazzill Citrus Slice card stock for a great tone on tone pattern. I stamped and die cut a tag from the new Thank You Tags set from Lawn fawn and stamped my sentiment toward the bottom. Then I stamped one more orange on the same orange card stock and used a darker orange copic maker to color in parts of the image. I finished it off by tying the top with Lemon Lawn Trimmings Twine. 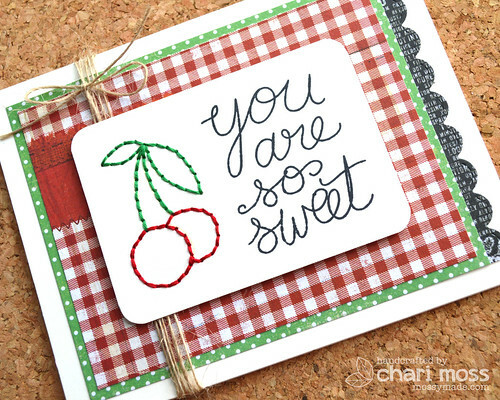 For my second projects I stamped the cherries image in a very light ink, I used Soft Vanilla from Hero Arts. It barely shows up on the cream card stock but I could see the image well enough to follow the shape when piercing the holes for my stitching. I used papers from the South of Market collection from Studio Calico to frame my front panel.